Kirstie Parker, a Yuwallarai woman from northern New South Wales, was CEO of the National Centre of Indigenous Excellence from 2015-17. She was formerly a Co-Chair of the National Congress of Australia’s First Peoples. She is also a Director of Reconciliation Australia. Kirstie has a long and distinguished career in Indigenous affairs and especially media. 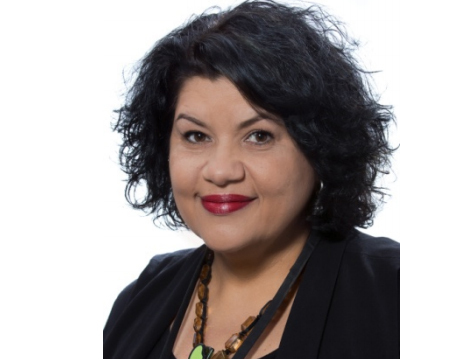 Among other roles, she was editor of the Koori Mail newspaper for seven years, the inaugural Executive Officer of the Australian Indigenous Leadership Centre (AILC), and Director of Public Affairs for ATSIC. Her work has been acknowledged by multiple awards, including an Australian Peacewoman Award in May 2015, a Human Rights Award (Media Category) in 2008, and being named in the Australian Financial Review and Westpac inaugural 100 Women of Influence Awards in 2012. A seasoned community investment leader, Jackie has a strong mix of social innovation skills and corporate philanthropy experience, gained in senior Corporate Affairs and CSR roles over the last 25 years. Jackie is passionate about Indigenous Digital Excellence and enabling “tech for good”, which she describes as the intersection of social innovation and digital technology. Analogue at birth, digital by design, Jackie advocates for the transformative power of tech to enhance social inclusion, particularly for young people. 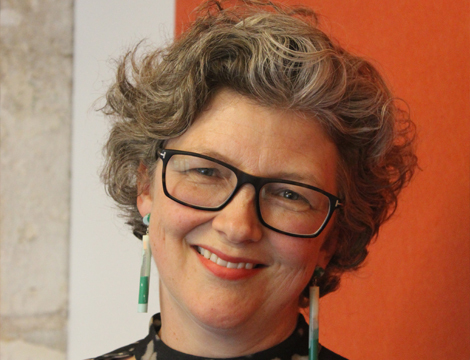 As head of the Telstra Foundation, Jackie manages a multi- million dollar community investment portfolio that has a focus on Indigenous community development, accessibility, wellbeing and regional/remote communities. Feminist, mother, geek, and grant-maker Jackie juggles many balls and tries hard not to drop the glass ones. Natalie has over 15 years experience across small business, government, not for profit and corporate sectors in various management and non-executive roles. Her latest venture – Inside Policy – is a national collaboration of policy wonks, political operatives and technical geeks who love making the world a better place by designing new solutions to complex social and economic policy challenges. One of the ways they do this to build apps like Slice of Pie to better understand open government data. 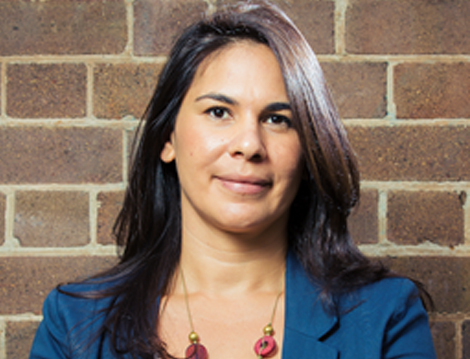 Prior to founding Inside Policy, Natalie established Supply Nation, a social enterprise designed to integrate Indigenous Australian owned, controlled and managed businesses into the supply chains of Australia’s largest companies and government agencies. Dameyon, an Aboriginal and Torres Dameyon Bonson, a Mangarayi and Torres Strait Islander male, is Northern Territory based consultant and advisor in the prevention of suicide. Dameyon has spent the past six years working in upstream suicide prevention; with three of those years working specifically with the Aboriginal communities across the entire north west. Since working for himself Dameyon has designed and developed a mobile application for men in the Fly-In-Fly-Out mining sector to reduce stigma in mental health. The app called YFRONTS was part of two-year action based research project with beyond blue paid for with donations from Movember. Dameyon has self-published the country’s only report in suicide prevention relating to Indigenous LGBQTI people and crowdfunded the birthing of Black Rainbow; a social enterprise specifically for Indigenous LGBQTI people and the prevention of suicide. In 2016, Dameyon was awarded the Dr. Yunupingu Award for Human Rights and currently advises on the Northern Territory suicide prevention trial site and the new digital mental health gateway with the Department of Health. Why is it important that we celebrate the everyday Indigenous digital excellence happening in our communities? Dameyon, an Aboriginal and Torres Strait Islander male, is a Broome based consultant and social entrepreneur. In 2016 he received the Dr. Yunupingu Human Rights Award for his work in the prevention of Indigenous Suicide. He is the Founder and CEO of Black Rainbow and is currently working in on a pet project in the digital space; developing a mental health app for men who work FIFO in the resources sector.